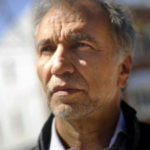 Dr. Sam Tsemberis founded Pathways to Housing, an organization based on the belief that housing is a basic human right, in 1992. He serves as the CEO. Pathways developed the highly successful Housing First program that provides immediate access to permanent supported housing to individuals who are homeless and who have mental health and addiction problems. The program uses a person-centered harm reduction approach to services to treatment and does not require participation in psychiatric treatment or sobriety as a precondition for housing. Pathways’ Housing First programs now operate across the U.S., Canada and Europe and the program is included in the Substance Abuse and Mental Health Administration’s (SAMHSA’s) National Registry of Evidence Based Programs. Pathways has received recognition and numerous awards including the American Psychiatric Association’s Gold Award in the area of community mental health. Dr. Tsemberis is a clinical-community psychologist and is on the faculty of the Department of Psychiatry at Columbia University Medical Center. He serves as principal investigator for several federally-funded studies of homelessness, mental illness, and addiction, and has published numerous articles and book chapters on these topics. Previously the Canadian Homelessness Research Network, the Canadian Observatory on Homelessness is a non-profit, nonpartisan research institute that is committed to conducting and mobilizing research so as to contribute to solutions to homelessness. They work together as a group of researchers, service providers, policy and decision makers, people with lived experience of homelessness as well as graduate and undergraduate students from across Canada with a passion for social justice issues and a desire to solve homelessness in Canadian communities. The COH has an ambitious program of research that includes local, provincial and national monitoring activities, as well as original research that not only contributes to the scholarship on homelessness, but enhances the impact of research on solutions to homelessness by establishing an evidence base and knowledge mobilization strategy.